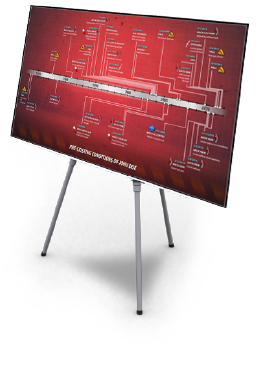 Legal Timelines | INFOMEDIA TRIAL SOLUTIONS, INC.
Timelines include static Display Board, Interactive, Digital, and Database Driven. 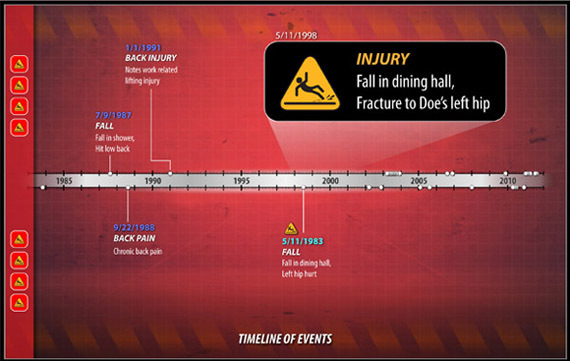 The purpose of this timeline was to create a single snapshot of the many events that took place prior to the plaintiff's 2011 fall. 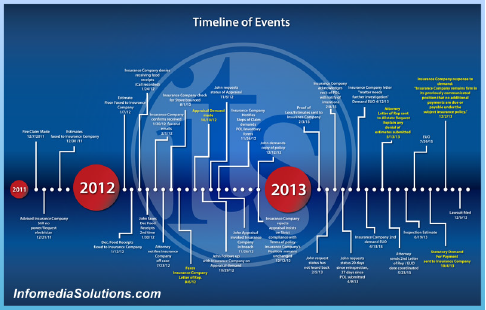 This Legal Timeline focuses on multiple events occurring within a particular time frame. 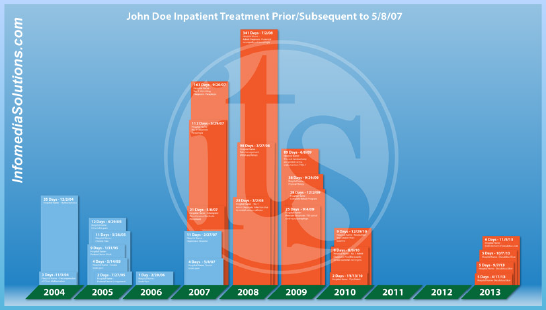 Visible patterns were not the intent with this Litigation Timeline, but rather to show the jury how different events fit into the big picture. 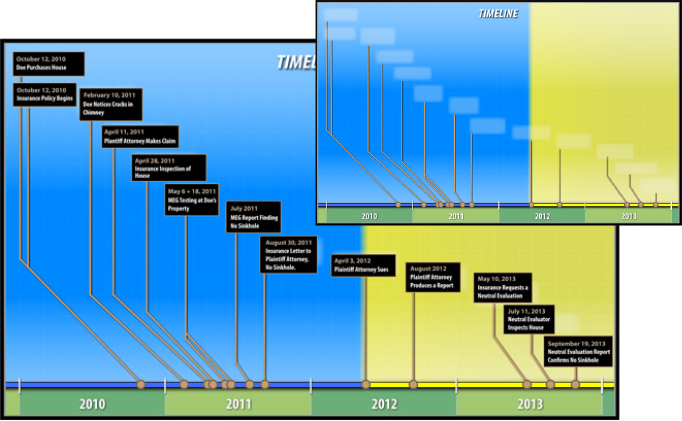 This is a multidimensional Litigation Timeline for showing length in time. 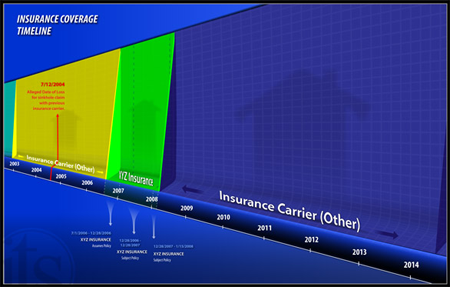 Walls/boundaries created between each carrier to emphasize separation in responsibilities. This focuses on a single event relative to time. - Magnetic Boards allow the presenter to guide focus. - Creates interaction between presenter and trial exhibit. 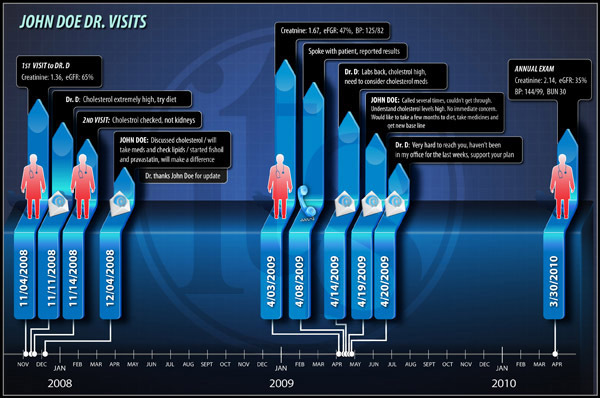 This is an interactive Trial Graphic illustrating how user can select single events for instant call outs (call out shown). 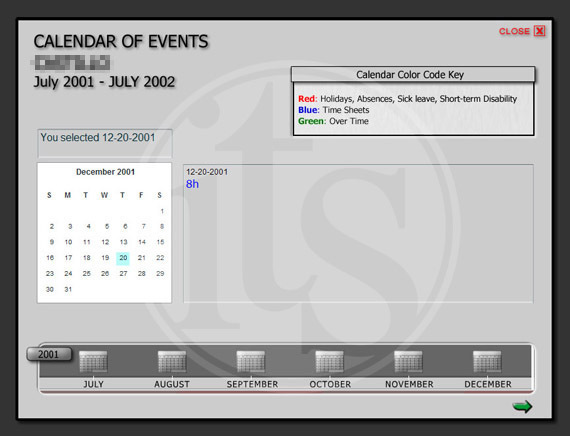 Further preset event groupings can be created with customized menu bars. 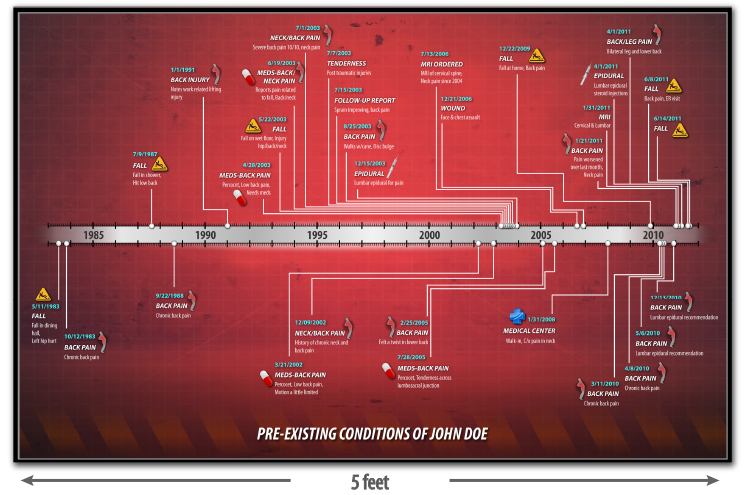 The purpose of this Legal Timeline Exhibit was to show the different types of communication used and when. - If last minute changes are expected. 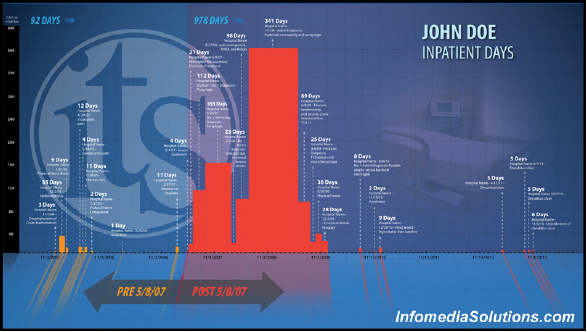 When taking advantage of our on-site trial presentation specialist changes can be made even minutes before "going live". For this Trial Exhibit a large quantity of data was needed for quick retrieval by the judge. Word document upload feature was implemented for easy data input to allow the attorney to add items as needed.